I experienced something extraordinary this weekend that I would love to share with you. It started on Friday when I had the honor of sitting down to a one-on-one meeting with my mentor, Phil. This meeting was about diving deep to look for ways I can improve my business. Going in depth and seeing what works and what doesn’t was so beneficial for me. It was also an excellent way of connecting with and supporting one another. The next day, for some reason, I woke up and felt calm inside. 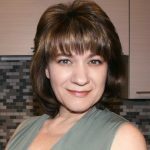 Now, yes, I am usually relaxed on Saturdays, except this time I was going to the Best You Expo in Long Beach, California, and usually when I have to go out, I’m a little stressed with getting ready and making sure I will arrive on time. I was proud of myself for being early, especially since I had time to go to the gym before getting to the event. Briefly, this Expo was brought from London by the founder and CEO, Bernardo Moya, who had a big “why” for starting the Expo, to helping you achieving your dreams and making you the best you possible. The most amazing thing that happened to me was on Sunday afternoon. I was heading to a presentation when I passed by someone at a booth that said NLP. The energy stopped me in my tracks. I turned around. A voice inside just said, “go say hello to this person.” The fellow seemed friendly. Well, let me say this: if you’ve studied NLP and you are not coming across as friendly, there’s a problem. I don’t know much about NLP, except it refers to Neuro-Linguistic Programming. I wasn’t interested in the NLP aspect per se; I just wanted to say hello to that person. Although I surprised Steve, he played along. I could see him wondering which category I fit in. He couldn’t tell if I was a prospect, or if I had a specific question about his program? I took the lead and continued our casual talk. I learned that Steve is an avid cyclist who had a serious bike accident a few years ago. Luckily, he didn’t suffer any permanent injuries. Then, we got talking about family, children, and relationships. What I noticed is we tend to define who we are with our business titles. Looking back now, I realize I learned something valuable. We are so often preoccupied with the business aspect of relationships that we forget we are interacting with people. People with feelings! When you meet someone from the heart, something deeper comes out. Steve took the time to travel, all the way from the UK to America, to be at the Expo, leaving his two children and his wife behind. I would not have known all these things if we had talked about business. In reality, what matters most to all of us is our environment and our home. Aaron Young, who is my eyes and ears in the business world. He has the opportunity to travel and meet other affluent people, and he keeps me informed of what is going on. Aaron reached out and invited me to attend the Expo. I wondered for a moment if I should invest a weekend. And I thought, why not? If my mentor tells me to show up, I will show up. I reasoned it out: if I want better results in my business, maybe I should model successful people. 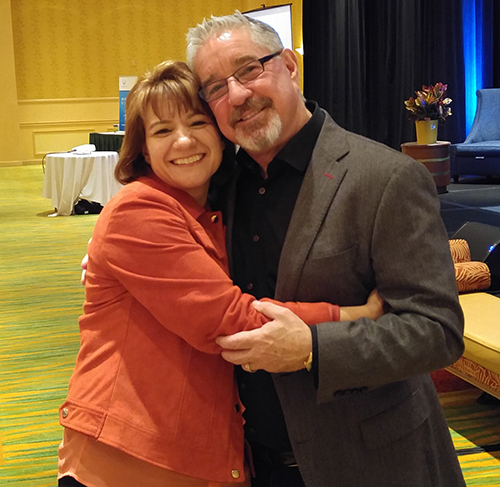 My other mentor, who also was at the Expo, is Berny Dohrmann. Berny taught me how to leverage and sustain a business. I also sat in his Capital Raising class at CEO Space. I learned a lot from this man. I sometimes hear negative comments about him. When I hear these, I ask: “how long have you sat down with Berny?” Usually, these people say, “I’ve never talked to him, I only heard about him.” Well, I did sit with Berny, and I can say one thing: he has a lot of wisdom and he’s worth paying attention to. After telling all this to Steve, he asked me what I thought of the speakers. I said, to me all of them were great, adding that I make a point to arrive at any event with an open mind ready to receive any information. I told Steve how a certain 15-minute talk had a huge impact on me. 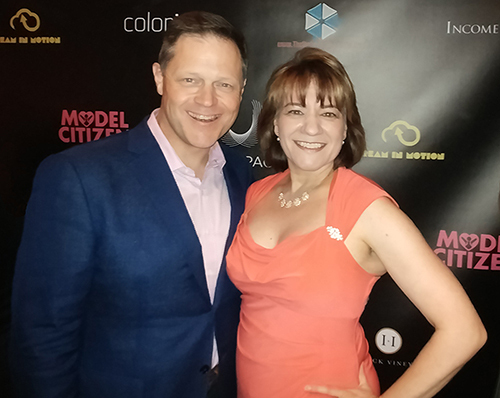 Ryan Long, who developed City Gala, is a genius when it comes to creating sponsorships. He is well known for bringing highly influential individuals in to speak on behalf of charitable organizations. However, his talk had nothing about sponsorship. He explained that when he was born, he had a foot deformity. His dad did not accept him for who he was and abandoned him. Luckily for Ryan, his mom stood beside him and raised him. When Ryan was five years old, his mom told him that his dad wanted to see him. So he got all dressed up. And when he was alone with his dad, his dad ordered him to take all his clothes off. When Ryan complied, his dad beat him until he bled all over. Can you imagine what that does to a five-year-old kid, who meets his dad for the first time and gets a hell of a beating? Can you imagine what that does to a child’s soul? Well, Ryan shared his years of struggle after that incident, and how, at one point, he chose to be a better man. The aftermath of the story came later, as I was driving home. Ryan's story touched me deeply because I cringe when I hear people being cruel to others. So there I am in the car, suddenly feeling angry that this “man” did this to his child. However, I quickly reasoned that holding on to anger will not solve the anger problem in this world. Understanding the importance of what I was feeling, I let the emotion flow through me without judging it. And at one point, my mind shifted. Instead of dwelling on how bad that “man” was, I decided to send him love. I wished for God to bless his soul. Who am I to judge? I don’t know what he’s been through. In my opinion, the problem comes when we dwell on someone else’s shortcomings and imprison ourselves by not letting things go. This event happened over 30 years ago and it’s this man’s journey, not mine. I have little to do with it. So I decided to send him love. I chose to focus on the good rather than on the bad. The good is that Ryan is here in this world, making a difference in people’s lives. The important thing is who Ryan chose to become rather than dwelling on that tragic moment. The gift is that I choose to love, which allowed me to release rather than holding on to my anger. I realized I cannot solve anger with more anger and I cannot solve violence with more violence. 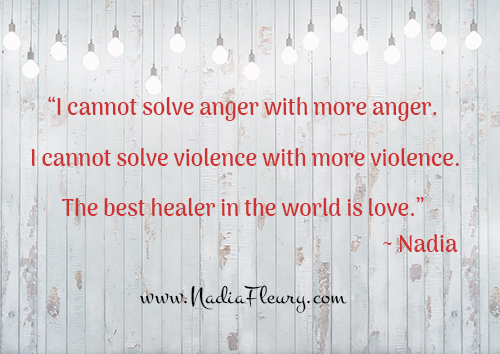 The best healer in the world is love. I’ve learned that if there is a shadowy part of you that you don’t like holding you back, either a part of your body or an action you did a long time ago, take a moment to focus on what pains you. Let the full course of the feeling go through you. Then love that part of you. Having compassion, which is love in action, will release the energy that is keeping you from moving forward. Sometimes we get stuck in our old stories, which gives us an excuse for why we’re not moving forward. Where does that lead you when you keep feeling sorry for yourself? I know, it’s not easy to do. But it’s the only way if you want to move forward. Love heals everything. To that, Steve was taken aback. He never realized how a 15-minute talk could have such an impact. Then he asked what else I discovered during the Expo. I shared with Steve that after listening to a few presentations on Saturday morning, I was puzzled as to why so many affluent people were here. Of course, on stage they all shared great messages. But I was wondering why they would sacrifice their weekends to be at the Expo. If they have so much money, why aren’t they on the beach or with their families? I gave myself some quiet time to think. Why was I thinking like that? What is it that I needed to learn from this behavior? In the past, I would go straight into judging an event or a speaker, behaving like it’s beneath me. Well, I know better now, and taking the time to listen in and hear what I need to learn is a gift. It’s what makes me grow. I got the answer to my question while I was talking with Steve. The people who came to speak or open a booth came because they have such a big “why” and they believe in their gift, and they were willing to put up with their discomfort in order to support one another. And they joined forces with Bernardo because they understood his vision of wishing all of us to be the BEST US. Coming from the UK, Bernardo dreamed of having his Expo in the USA but he couldn’t pull it off alone. So he surrounded himself with American business leaders. The cool thing is two of my mentors were part of this collaborative effort. I now know what it means to be influential because they have influenced me. I now know what it means to be supportive and say that I’m willing to do whatever it takes to help someone out. I now know they walk their walk and talk their talk and they mean what they say. They are, in my opinion, true leaders, because I witnessed it. I saw Berny sitting one-on-one with people, and I know these people’s lives have changed, just like he’s changed mine. Berny, like many others, chooses to shine his bright light and share his gift and make a difference. As Steve and I continued talking, we shared our “whys” and what we stand for and what we desire to accomplish in this world. A great bond emerged. It’s one of those things that is really hard to explain. I guess this is what it means: taking the time to connect. This is how we build communities, two people at a time. I see it as a gift. Because whatever we share will create ripple effects. We all live for the same purpose: to love and to be loved. Often we want to help, but we don’t know how to go about it. Or we wonder if what we have to offer will be good enough. What about starting with one person? Your neighbor, an acquaintance, someone who’s struggling to reach something at the grocery store, or with someone you meet at an Expo? What I find interesting is how one weekend can impact a person’s life. These people took the time to come from the UK to make a difference. And I have to say, they did. At least with me! There is one thing I am sure of. Phil, Aaron, and Berny have elevated me to such place that I have no other option than to succeed. It’s very reassuring to be surrounded by three well known and respected business leaders who are empowering me to BE THE BEST ME possible! 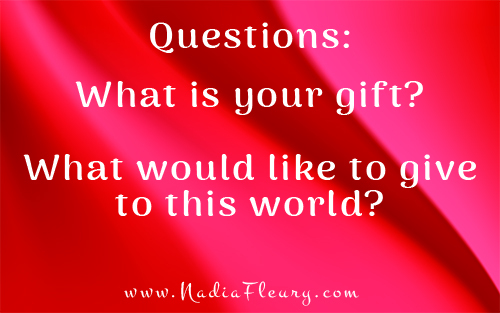 To conclude this post, I will leave you with two questions: What is your gift? And what would you like to give to this world? 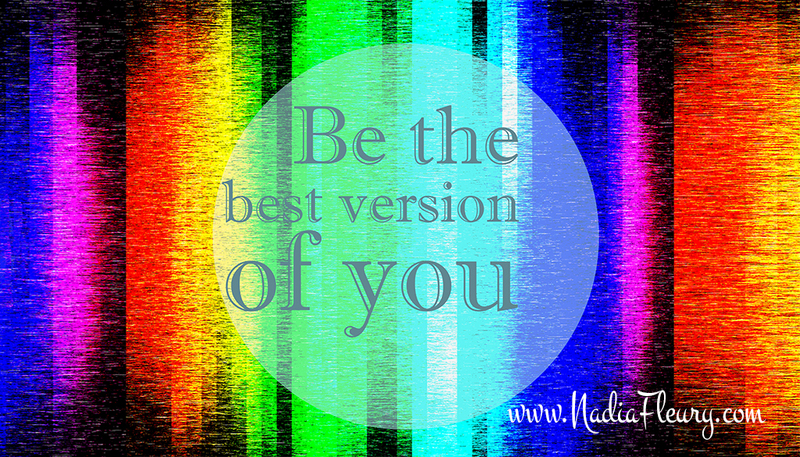 If you enjoy this blog post, please leave a comment or share it. Thank you!